From our early beginnings, the team at Firecraft have always been very passionate when it comes to making sure our customers are delighted with their new fireplace. We pride ourselves on the smiles of our happy customers. To learn about how we first began, please read our story below. 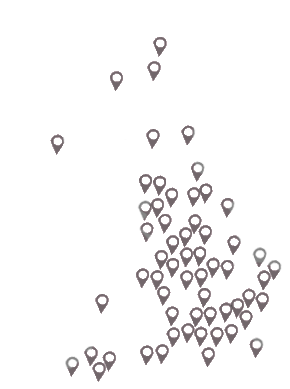 If you would like to find out more about Firecraft, and the fireplaces we design as well, please feel free to call our team via 0116 269 7030 or alternatively send us a message via our online contact form. I have been in the fireplace business since 1980, I love seeing a fireplace the right style, correctly proportioned in the right room, I got a buzz back then and its still as strong as ever. I had a small showroom with seven fireplaces then we moved up to our present showroom with about 50 displays in 1988. In the 90’s fashion changed to wood and marble fireplaces. Although our sales were good it bothered me as I felt I was selling the wrong product to the wrong room, customers were happy enough but I wasn’t; marble is cold and sophisticated, it looks great in Italy or Spain but does not suit the majority of our warmer rooms in the UK. So I went to the quarry and started buying sheets of smooth stone, and producing fireplaces from a small workshop at the back of the showroom, they were an instant success with customers. A few months later we were joined by an experienced stone mason which meant he could make whatever I designed which even included a Hanuman monkey god! Within a year we started Firecraft and over the years have built many different styles for a variety of interiors, in fact all my range has been built up from clients with particular room setting. In 2016 we released The FC50, the first stove to be made by Firecraft which has a 5kW power output, and although Firecraft may have began many years ago, I am still truly honest with my customers, which I think might be why Firecraft has been so successful, I would never sell or make you anything I’m not 100% happy with. 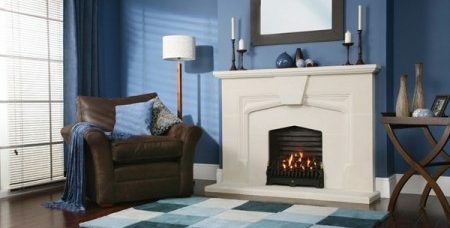 At Firecraft we will work alongside you to come up with a fireplace that we can all be proud of.